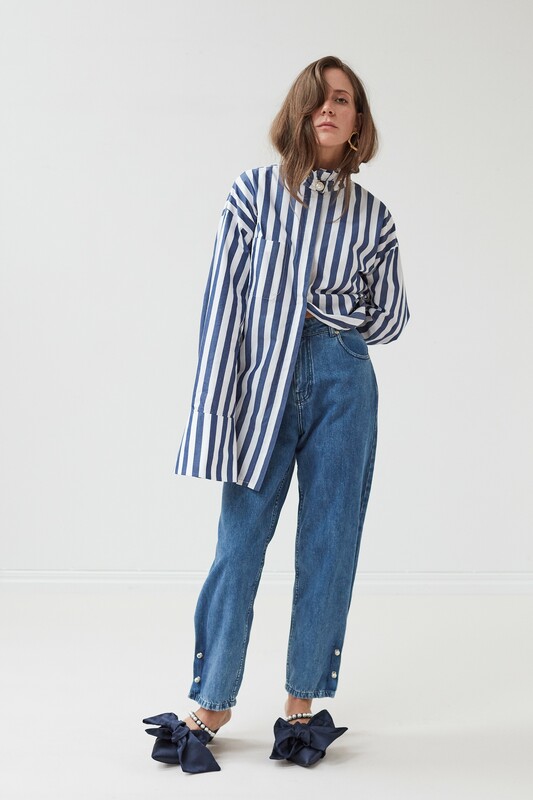 The Cindy shirt in stripe is made from 100% organic cotton. The cotton is grown, spun and woven in Turkey. The Cindy was also manufactured in Turkey meaning that this shirt has a very low carbon footprint. It has a pie crust collar fastened with a faux pearl popper.